You will never diet again. Say goodbye to calorie counting, restrictive food bans, or other forced behaviors. In Mini Habits for Weight Loss, you will learn how to lose weight naturally in the precise way your body and brain are meant to change. We've blamed ourselves for lack of discipline. That didn't help. We've blamed calories, carbs, and fat. That didn't help. We've blamed our diet formulas. That didn't help. It's time we looked at the practice of dieting. Nearly all diets are ineffective because they're based on dieting. Every person has a diet (noun), but it's only if you are trying to lose weight that you diet (verb). Dieting is eating and drinking sparingly or selectively to reduce your weight. It doesn't work. If you've tried dieting, you know that. Even the "perfect diet" with the right foods will fail if it's approached from the traditional dieting perspective. Since weight loss experts are more concerned with biology than neuroscience, we get brilliant discussions on nutrition followed by the same dumb suggestion to "immediately start eating completely different foods than the ones you're habitually used to eating, and give up everything else." Are you fighting your own body and brain? The brain resists dramatic behavioral shifts. Recognizing this and developing a strategy around it made the original Mini Habits the number-one selling self-help book in a number of countries. 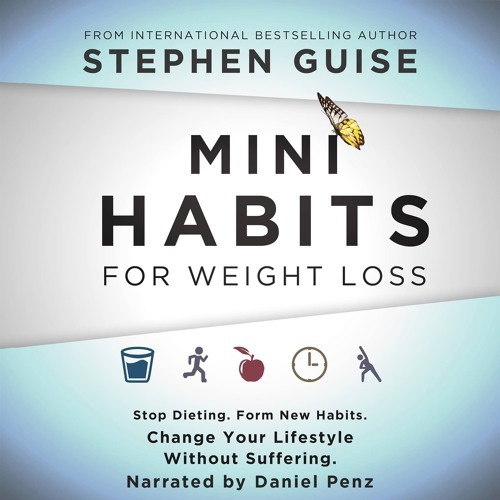 In Mini Habits for Weight Loss, you'll see that we also biologically resist such changes, which explains why most dieters and smoothie-cleanse aficionados lose weight in the short term, only to gain it all back (and more) when the body adjusts.